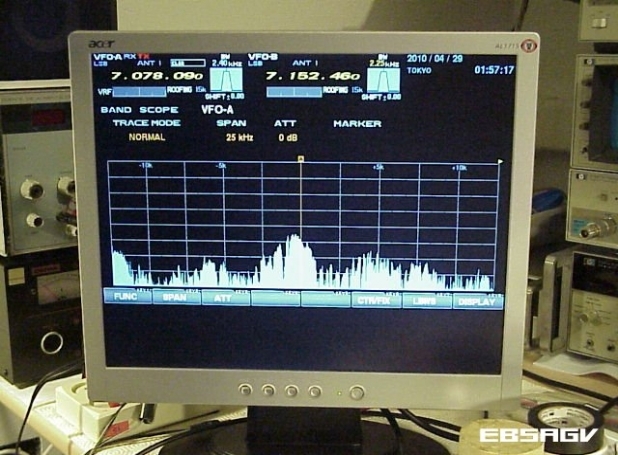 If you have a FT-2000 or FT-950, you may some day come into your shack to see this on the screen. The height of the blue (depends on color scheme you have set) band on the bottom of the bandscope may vary, but eventually it will cover about half the bottom of the screen. 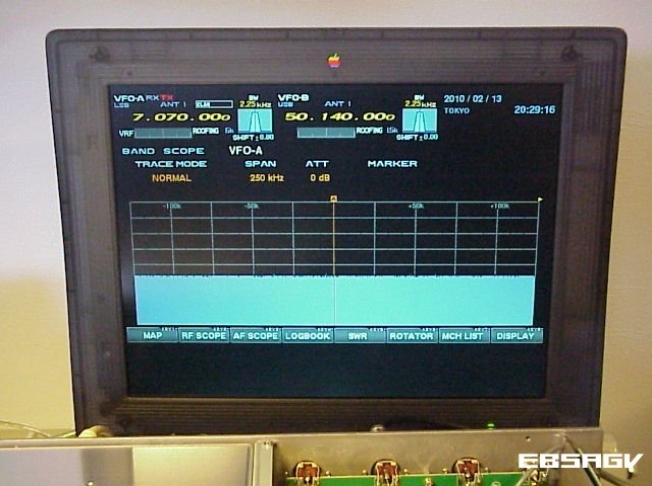 Very strong signals may be seen above this level which indicates the bandscope is functioning properly. 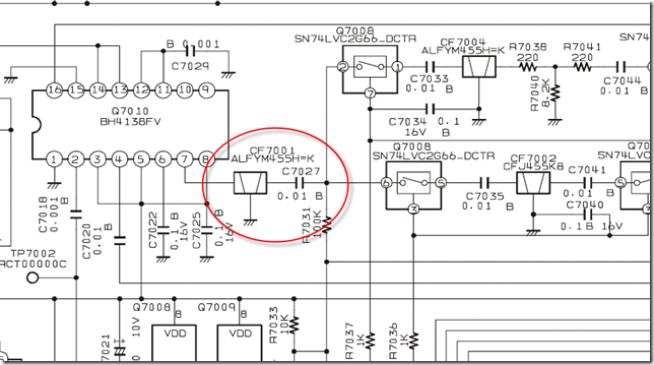 The cause is problem is a failure of the CF7001 filter shown below in the red circle. The filter is located here on the DMU add-in card mounted in the rig. 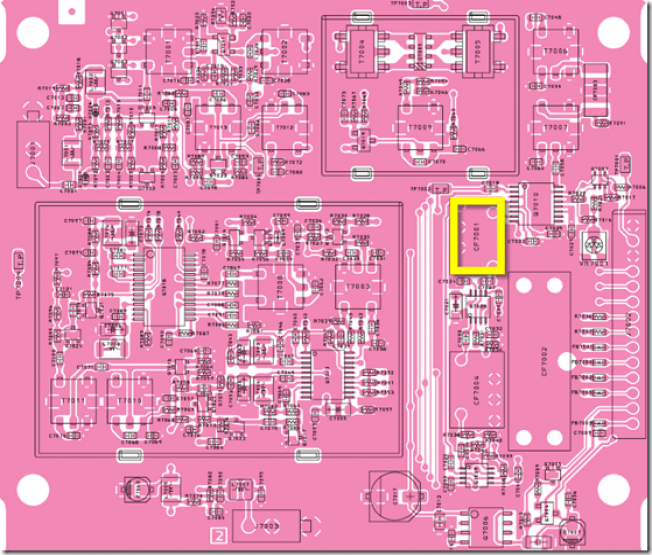 You can order a new filter under this part number from your Yaesu parts supply outlet. The cost is very low. 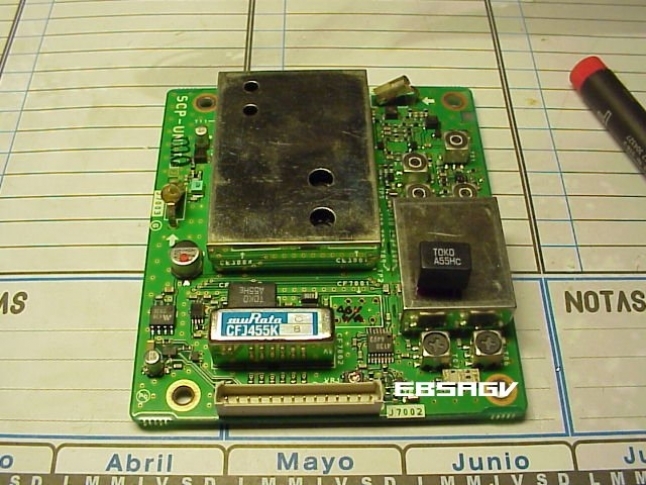 Here you can see the filter removed from it's PCB resting place (just above and to the right of the muRata CFJ455K). The old filter is shown sitting on top of the shield for reference. Note: While the card is out, you may want to consider adding a DC blocking cap to the left side of CF7001 which may help to prevent this problem in the future. While the card is out, you may want to consider adding a DC blocking cap to the left side of CF7001 which may help to prevent this problem in the future.